A 2 tiered cake, both cakes are different flavours. 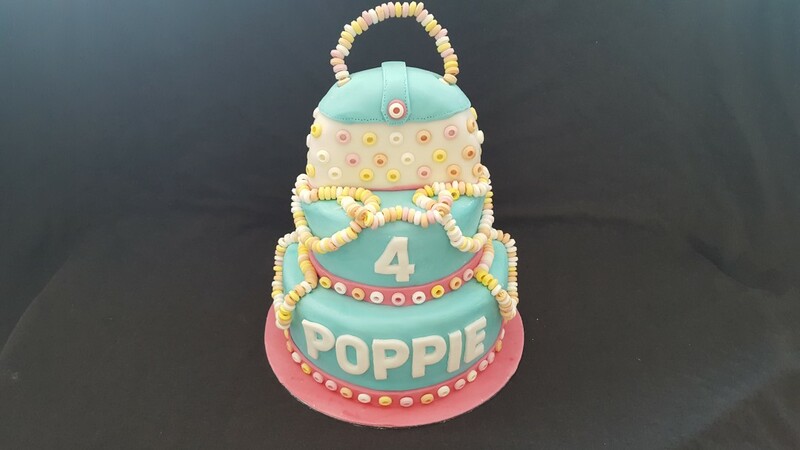 Decorated with sweets and a handbag topper. Everything handmade and completely edible!